What Are Medical Message Flags And Labels? Medical message flags and labels make important patient data stand out. Hospitals, clinics, pharmacies, nursing homes and more use medical alert stickers and labels to elevate patient safety. Medical message flags and labels communicate critical patient information including allergies, drug sensitivities, limb restrictions, priority handling requirements and more. They also highlight key information on patient charts. 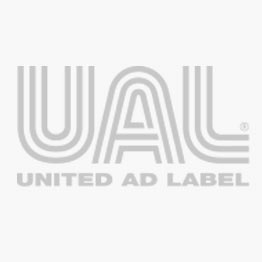 United Ad Label medical message flags and labels come in a variety of shapes to fit wristbands, patient charts and documentation. The brightly colored labels stand out, helping to ensure instructions are effectively conveyed. Medical message flags and labels are in stock and available for immediate shipment. Alert Label, 2-1/4" x 7/8"
Communication Label to Doctor, 2-1/4" x 9/16"
Emergency Room Label, 1-1/4" x 5/16"
Medical Alert Label, 1-5/8" x 7/8"
Priority Handle Label, 2-1/4" x 7/8"
UniArrow Flag, 2-1/4" x 9/16"